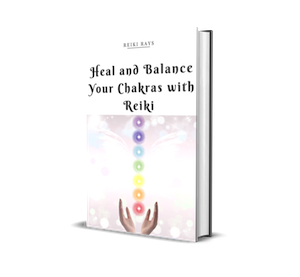 This method merges Candle Healing, Color Therapy and Reiki which makes this a deep cleansing technique. 1. Call upon your guides and angels to help you with chakra cleansing. 2. Light a candle and focus on the flame. Draw whatever symbols you are attune to on your palms. Charge your palms with fiery energy of the candle keeping your focus on the flame. Hold your palms above the candle till your intuitions guides you to. 3. Still focusing and palms on flame, imagine the flame turning to VIBGYOR colors one by one. Violet-Indigo-Blue-Green-Yellow-Orange-Red. 4. Rub your palms vigorously for few seconds. Now open your palms and visualize VIBGYOR flame on your palms one by one. 5. Now take your palms to Crown Chakra, visualizing violet flame filling the entire chakra, burning all blockages, expanding and balancing the chakra. Continue the flow of Reiki for two to three minutes. 6. Next take your palms to Brow Chakra, visualizing indigo flame filling the entire chakra, burning all blockages, expanding and balancing the chakra. Continue the flow of Reiki for two to three minutes. 7. Next take your palms to Throat Chakra, visualizing blue flame filling the entire chakra, burning all blockages, expanding and balancing the chakra. Continue the flow of Reiki for two to three minutes. 8. Now take your palms to Heart Chakra, visualizing green flame filling the entire chakra, burning all blockages, expanding and balancing the chakra. Continue the flow of Reiki for two to three minutes. 9. Now take your palms to Solar-Plexus Chakra, visualizing yellow flame filling the entire chakra, burning all blockages, expanding and balancing the chakra. Continue the flow of Reiki for two to three minutes. 10. Take your palms to Sacral Chakra, visualizing orange flame filling the entire chakra, burning all blockages, expanding and balancing the chakra. Continue the flow of Reiki for two to three minutes. 11. Take your palms to Root Chakra, visualizing red flame filling the entire chakra, burning all blockages, expanding and balancing the chakra. Continue the flow of Reiki for two to three minutes. 12. Now take your palms to Foot Chakra, visualizing brown flame filling the entire chakra, burning all blockages, expanding and balancing the chakra. Continue the flow of Reiki for two to three minutes. 13. Draw a big Cho Ku Rei in front of you and step-in. Seal yourself amidst the Cho Ku Rei.